"September is my favourite time of year...."
September is my favourite time of year, not only because it's my Birthday month but also because I just love this change of Season. "I love switching up my wardrobe and make up accordingly..."
The weather in September in the UK is still fairly warm but a little more crisp and I love switching up my wardrobe and make up accordingly! This year I'm going to be channelling a lot of cosy knits, dresses coupled with a warm coat, skirts and sheepskin will feature highly.....and of course ankle boots....the 1st of September arrived and I popped on my tan Isobel Marant Dicker boots in celebration! 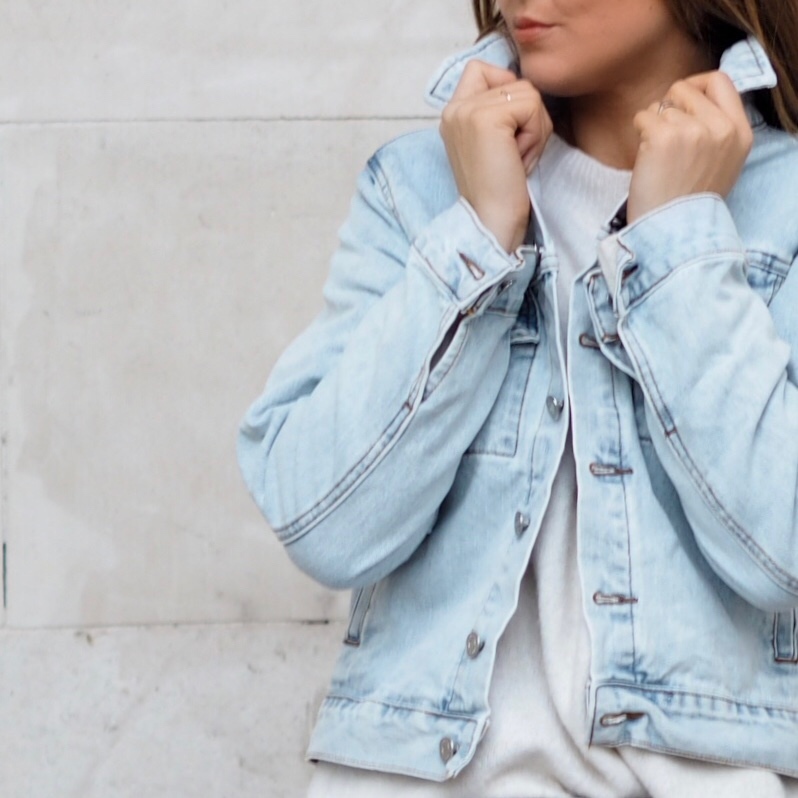 One thing I knew I wanted to get as part of my transitional wardrobe was a great denim jacket. Something I could sling over a vest, t-shirt, sweater or hoodie for the colder Autumn nights but equally something that would look good with a thick chunky winter knit underneath and a scarf. 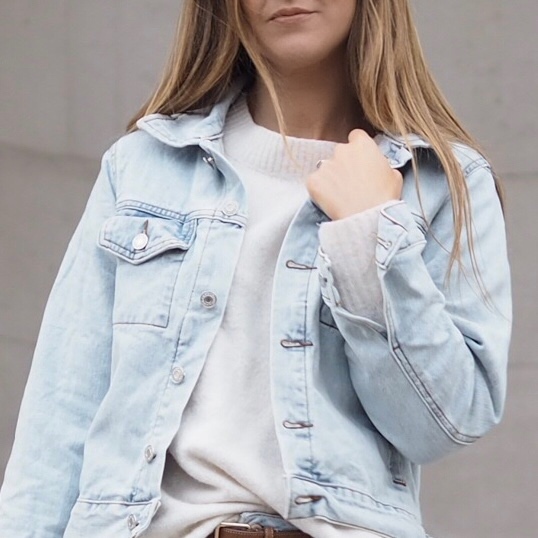 "Denim jackets are so versatile...."
Denim jackets are so versatile and after a lot of hunting for that 'perfect' hue of blue I came across this little and very inexpensive gem on the site 'Shein'. It's the perfect length, not too long and also a relaxed fit so you can fit thick items of clothing under it. I did order the 'medium' though because I wanted mine to be roomy. I did a couple of 'Shein' orders over the Summer and many of you asked me if I had any problems with shipping and customs. I did 4 orders and experienced zero problems at all. I had no customs fees to pay and my packages arrived in around 4-7 days. I was very very pleased with everything I ordered and I love the fact that on the site a lot of people review the clothing and post pictures so you can see what everything looks like on before you commit to buying. I have my eye on a lot of the chunky knits now. GET THIS MUST-HAVE JACKET HERE! "This was a great purchase..."
This was a great purchase and one I know I'll get a lot of use out of. It's also a fraction of the price of some of the more expensive jackets I was lusting after and if I'm 100% honest I think it's a lot better quality! I even tempted a bit of double denim to photograph it! Very unlike me indeed! What do you have on your list for your Autumn / Winter purchases? I'm currently compiling my list at the moment and I need some ideas! And let me know if you pick anything up from SHEIN - including THIS jacket!